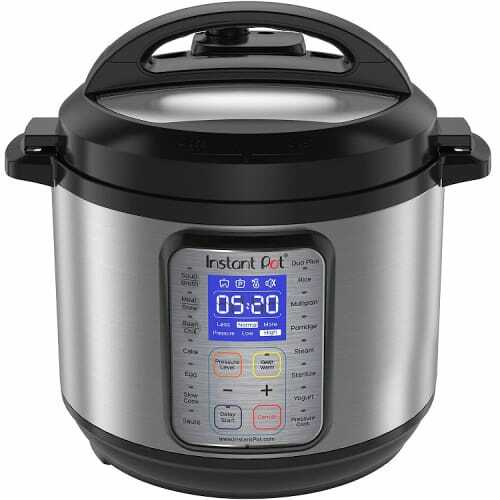 Amazon: Over 35% Off Instant Pot DUO 6 Qt 9-in-1 – Today Only! Head to Amazon.com where today only you can score over 35% Off the Instant Pot DUO 6 Qt 9-in-1! You can use this Instant Pot as a Programmable Pressure Cooker, Slow Cooker, Rice Cooker, Yogurt Maker, Egg Cooker, Sauté, Steamer, Warmer, and Sterilizer! Go on over and snag yours today! This Amazon deal of the day is valid January 31 only and while supplies last.